New York Times Learning Network, November 20, 2014 “What are You Thankful For?” This link actually uses an image from the Gratitude Graffiti Project at Columbia University, Teachers College. “The Grateful Life: The Secret to Life and the Science of Contentment” by Nina Lesowitz, and Mary Beth Sammons. 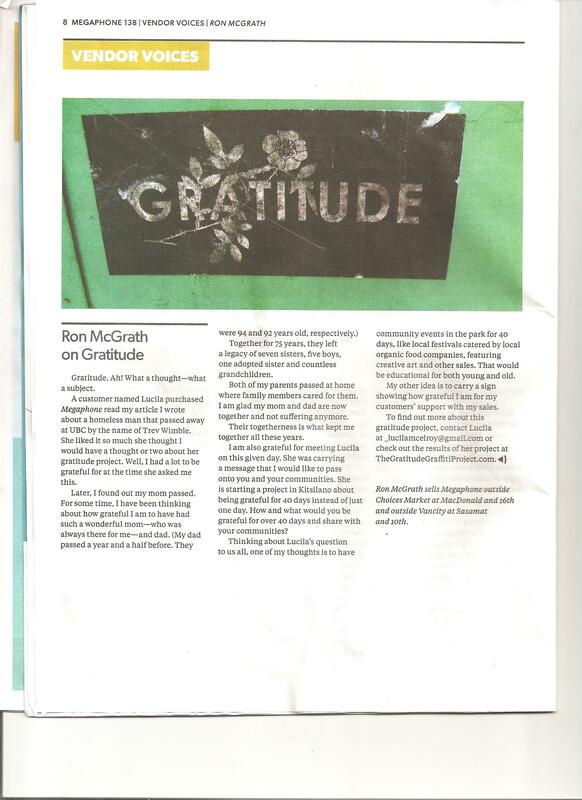 The Gratitude Graffiti Project is highlighted in one of the chapters.